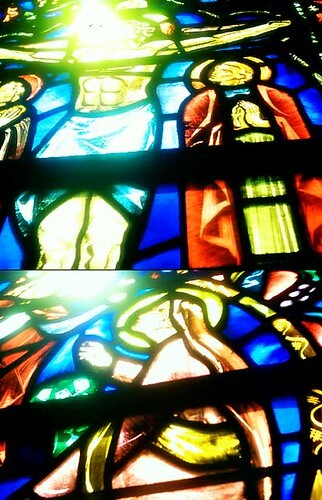 After service, I tried a few snaps of the church’s stained glass windows. They came out okay, but I didn’t expect the sun shining through the glass to completely wash out the Crucified Lord’s head in a blaze of white. Oops. Today’s readings of the Old and New Testament lessons at church were done by a pair of young English children, complete with dainty, refined country English accents. Absolutely delightful. Some tea?